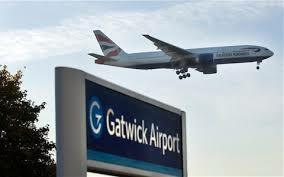 Maidenhead to Gatwick Terminals North and South - Only £60. Book Now ! London Gatwick is London's second-largest international airport and the second-busiest (by total passenger traffic) in the United Kingdom (after Heathrow).Gatwick is Europe's leading airport for point-to-point flights and has the world's busiest single-use runway, with a maximum of 55 aircraft movements per hour. In 2013, 35.4 million passengers passed through the airport. Our aim is to make your bookings as simple as possible, whether you have booked online or over the phone we aim to give confirmation of booking instantly at the time of the booking. Bookings can be made online from anywhere in the world or by phone.